Try an activity rattle for free! Try for free a Clip Clop Activity Rattle from Playgro! 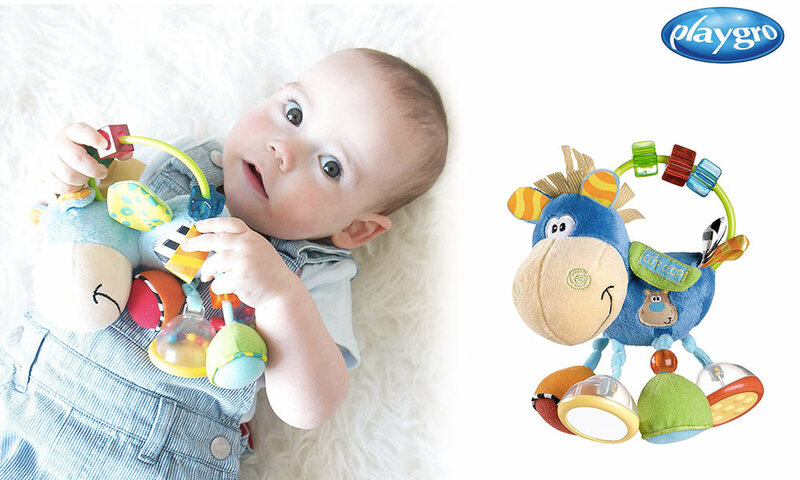 Clip Clop is packed full of features in this interactive activity rattle! Filled with a variety of fun activities including rattles, click-clack beads, a peek-a-boo saddle, crinkle features and loads more! This item will have baby entertained for hours while stimulating their fine motor skills and auditory senses. 5 Activity Rattle from Playgro to try!